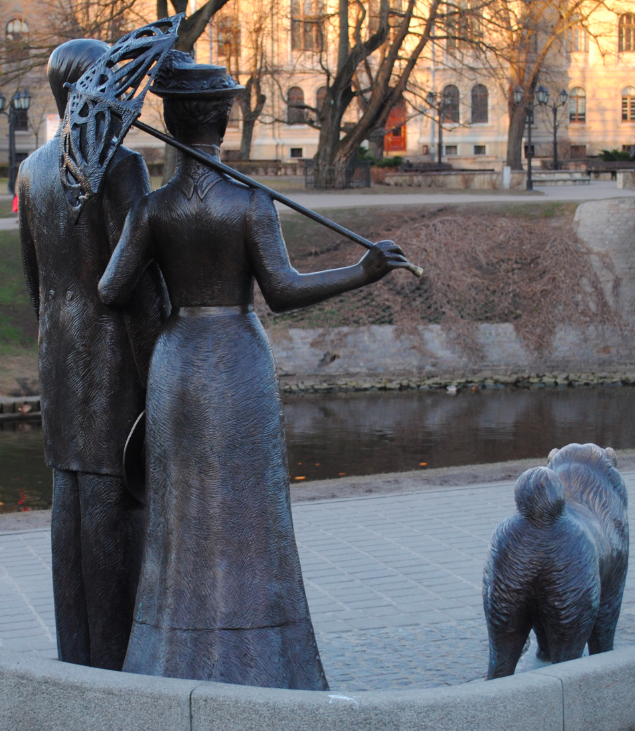 Located in the gardens opposite Latvijas Nacionālā Opera is the bronze statue of George Armitstead with his wife Cecilia Pychlau and their pet dog. 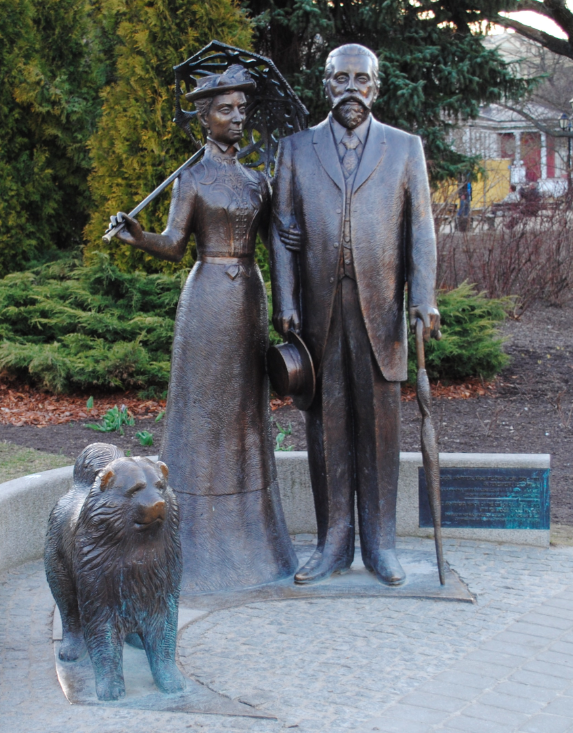 Mayor of Riga from 1901-1912, Armitstead is heralded as one of the greatest leaders Riga has ever known. The bronze sculptures are the result of donations made by local businessman Yevgeny Gomberg and were unveiled by Queen Elizabeth II in 2006.